For John James Audubon, there was endless art to be found in the pursuit of science. He was not just a naturalist, but a painter, capturing the beauty of the birds he studied as well as the facts. 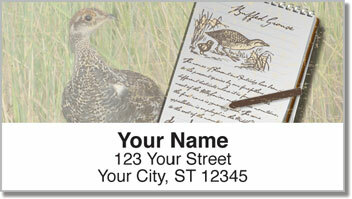 This address label design combines wildlife photography with drawings reminiscent of the creativity and care found in the works of Audubon. 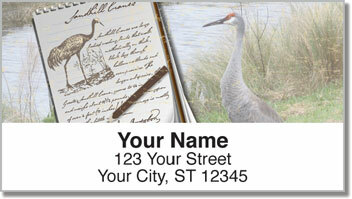 Stick them on your letters and packages for an attractive finishing touch that portrays your own fondness for nature. Plus, you'll also appreciate how handy these labels can be. A self-adhesive backing makes them extra easy to use. 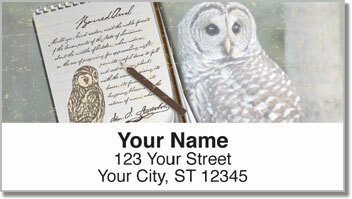 Simply peel and place on every envelope that goes in your mailbox. 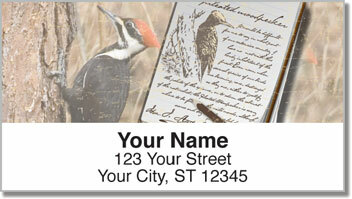 Order your very own Audubon Sketch Address Labels today! Get them with matching personal checks and free shipping.